I recently finished reading The True Memoirs of Little K by Adrienne Sharp and while it certainly fits into the category of my favorite genre of historical fiction, it was still a first for me. I don't think that I've ever read a novel based in Russia before. Despite my lack of knowledge when it comes to all things Russian, it wasn't far into the novel that I started recognizing certain names and references such as the czar Nicholas Romanov, Anastasia, Rasputin and more. I'm not sure if I'm proud to say that this recognition came mainly from the Disney adaptation of Anastasia. Regardless, it had me immediately curious as to how much of this novel was fact and how much was fiction. With just a little bit of research, it wasn't hard to discover that Disney's version wasn't quite an accurate description of what truly happened to Anastasia and the Romanov family. As far as dates, names and historical events, Sharp's rendition was actually quite filled with fact. It was with the personal relationships and behind-closed-doors occurrences with which she took a more creative approach. The book is written from the voice of Mathilde Kschessinska, a very REAL person, as a 99-year-old women recounting her long and exciting life. 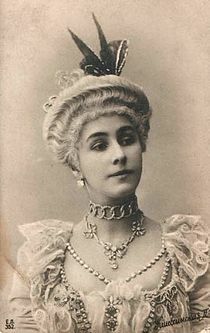 Kschessinska, in real life, was a famous ballerina for the Imperial Russian Ballet in the late 1800's and early 1900's. This fact certainly takes center stage in the novel, but Little K, as Czar Nicholas was known to call her, also recounts her period as his mistress and the advantages, as well as disadvantages, the relationship brought her at various points throughout the rest of her life. The result is an extremely engaging and fascinating read. While this may have been my first taste of Russian-based literature, I am certain it will not be my last. Here's a few others that I have added to my reading list: Russian Winter: A Novel (P.S. ), The Red Scarf, The Bronze Horseman, and Anya: A Novel. Have your read The True Memoirs of Little K: A Novel or any of the other Russian-based historical novels I mentioned? Thoughts?